Sorry, I've been MIA for the summer. I've started a new graphic design business- Snickerplum and it is taking up my life. But, I'm finally starting to figure out how to keep time for both, so you will hear more from me in the future. I've had a few customers ask me for more details on the etched glass vinyl. So, I thought I'd share the info with you all. 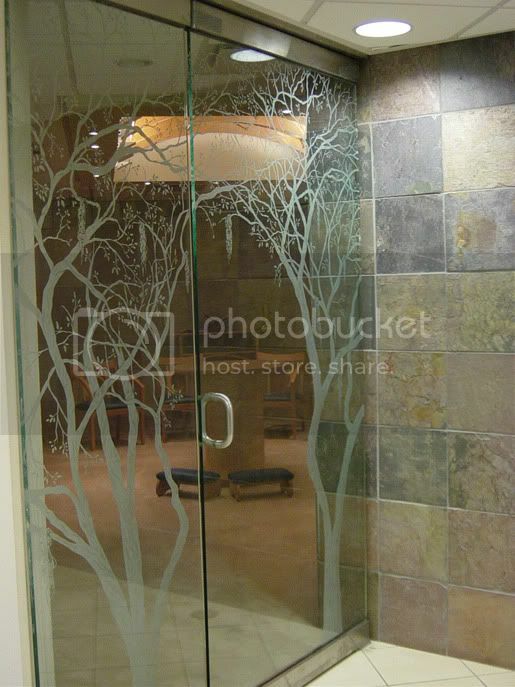 The benefits to doing the REAL etched glass, is you can add a lot more detail, dimension, and shading. The DOWN side to REAL etched glass is, it's PERMANENT! As in, forever! If it is a place of business, and you are renting, you will have to pay for new glass when you are done. If it is your home, it can be either a major selling point, or a big downer. 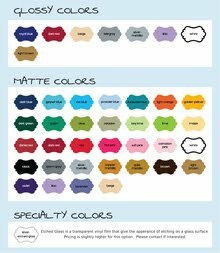 This is where Etched Glass Vinyl comes in to help! When applying the vinyl to the mirror or glass, it gives it the same effect, without being permanent! You can still have something beautiful, even if it is temporary! 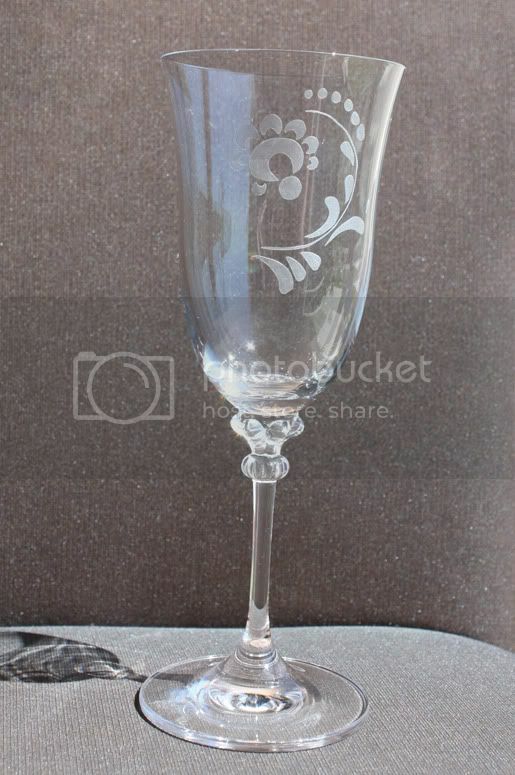 You can do small designs for things like champagne glasses. I've done a few custom designs for customers for weddings that had a design, along with the Bride and Groom's names and the date they got married. I would have loved to see how they turned out, so I tried on myself to see. I love the idea! And might have to do something for Etsy! 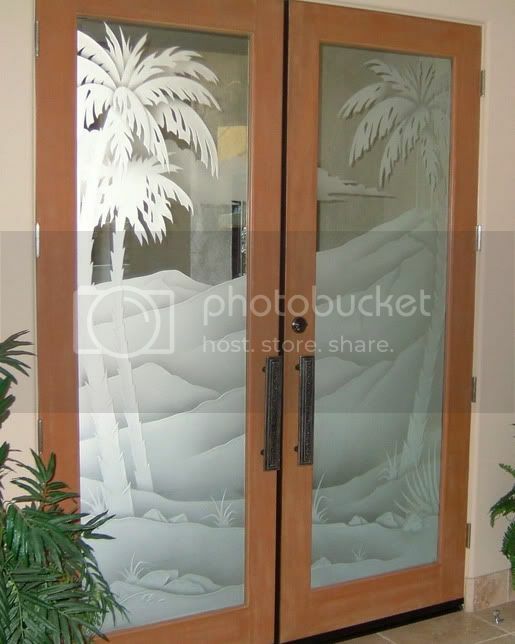 They type of etched glass vinyl I have is the silver corse etched glass. 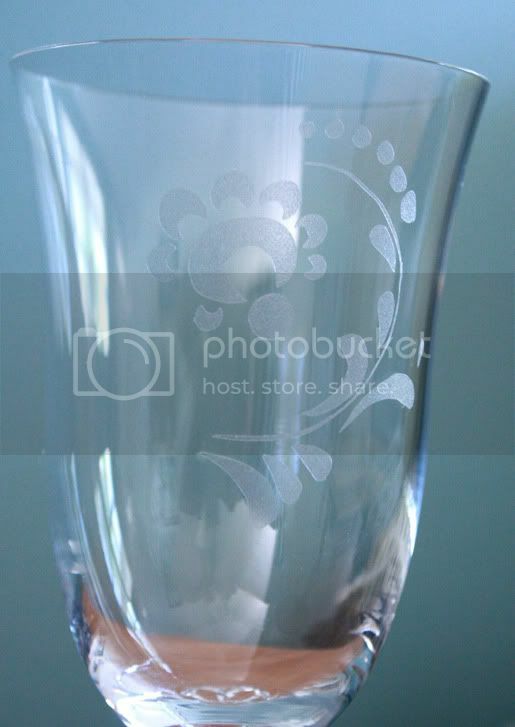 So, it has a slight silver tint to it and it is corse, so it gives it the feel of real etched glass. 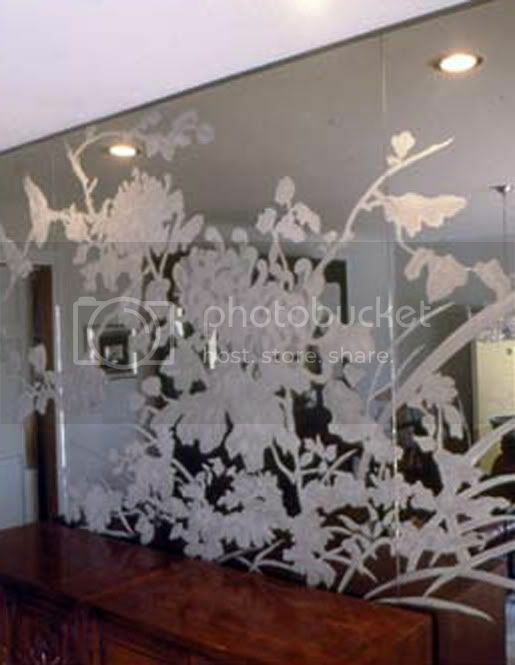 When putting the etched glass vinyl on a wall it will vary in appearance depending on the color of the wall. 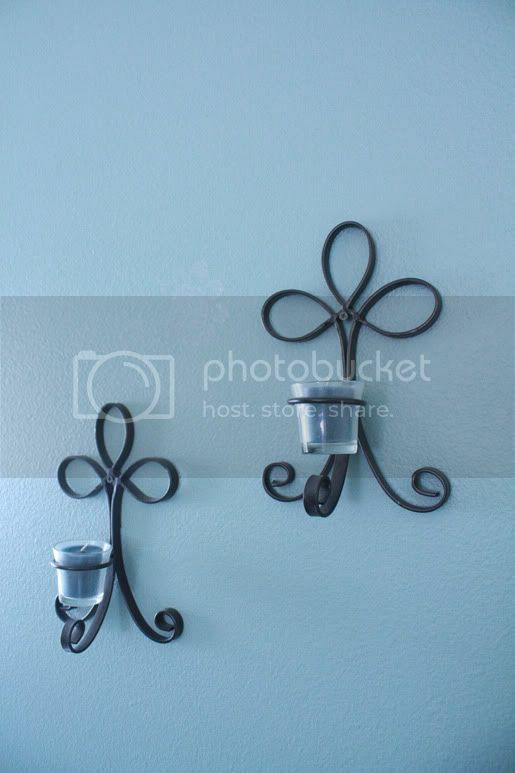 On a white or off-white wall it will look more silver than clear. 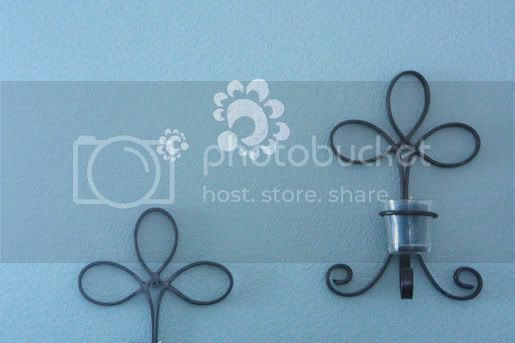 I tried it on my blue wall, and it appeared slightly blue and silver. 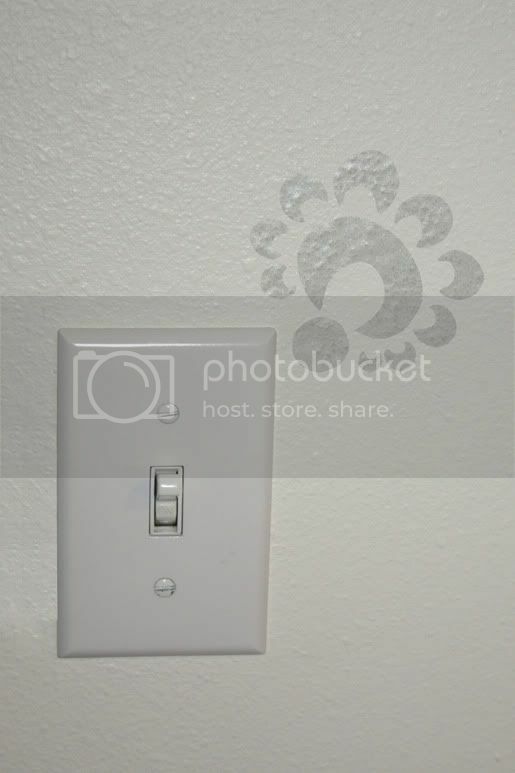 Then, I noticed that it changed, depending on the angle I was looking at it. Straight on it was the lightest, and as I moved to the side it got darker and blended in more. At one point I got to the side and it almost disappeared completely! I love it! It is so unique! And, I love how subtle it is! I do have to say, it is very hard to take pictures of and capture the exact appearance. The nice thing about the etched glass vinyl, is you can order any of my designs in this vinyl, but the down side is it is slightly more expensive. The price doesn't effect the time that goes into the cost, just the actual cost of vinyl. So, the increase will depend on the item ordered and how much vinyl is used. If you are interested, just contact me for more info, and I will get back to you as soon as possible. Hopefully this helps you get an idea of what it's like and how awesome and versatile it is!